New York, June 20, 2013 – Fashion One LLC, the international channel for fashion, entertainment and lifestyle television, announces its major expansion in Romania together with the launch on Orange TV of Orange Romania, one of the leading telecom companies in the country. The channel will be available on channel 705 in the Premium HD Package and multiple devices of Orange TV starting June 2013. The premium international television network caters to the female audience with content covering the very latest fashion, entertainment, and lifestyle news, profiles of A-list celebrities, luxury brands, holiday destinations, and red carpet events. Fashion One also delivers a strong lineup of original programming from reality shows, documentaries, beauty tips and street styling. "Romania has a unique culture as a meeting point of Central Europe, Eastern Europe, and the Balkans geographically. The sophisticated audience can choose where and how they want to enjoy exclusive experience of fashion in all aspects of life through our multi-screen services," said Ashley Jordan, CEO, Fashion One LLC. "We are excited about reaching an agreement with Orange Romania, and are looking forward to building the market hand in hand with Orange TV." "We have introduced a significant number of new TV channels in Romania and we are pleased to have Fashion One LLC among them. We want to address all customer needs and to offer those who are passionate about fashion international shows and news, about beauty, lifestyle, travelling directly from the most important capitals of the world." said Julien Ducarroz, CCO Orange Romania. 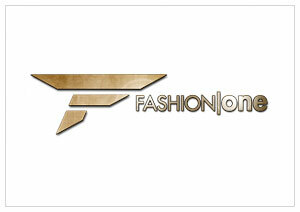 Fashion One HD is offered along with a sundry selection of national and international channels, in Universe HD. Universe HD is the Orange TV subscription that is including the highest number of HD channels for the Romanian market.